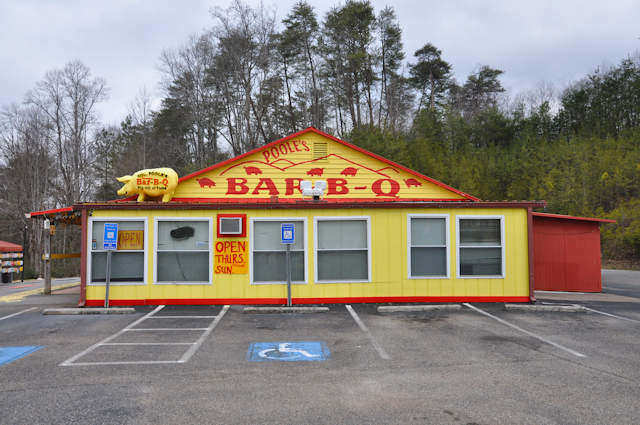 A favorite with tourists and locals alike, Poole’s Bar-B-Q has become a world-famous attraction in the mountain town of East Ellijay. Oscar and Edna Poole opened the restaurant in 1989. 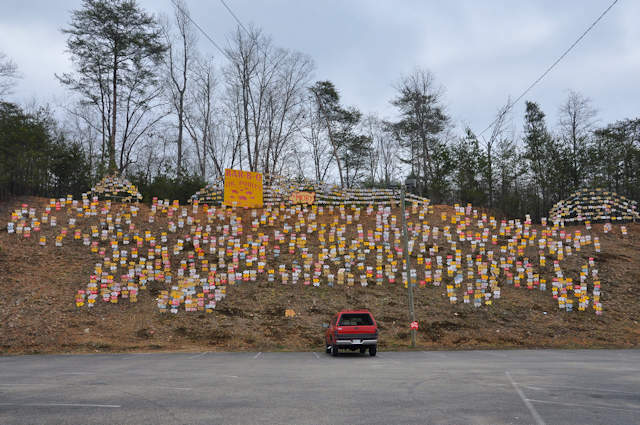 It started in a roadside shack but now occupies this building, known as the “Taj-Ma-Hog”. 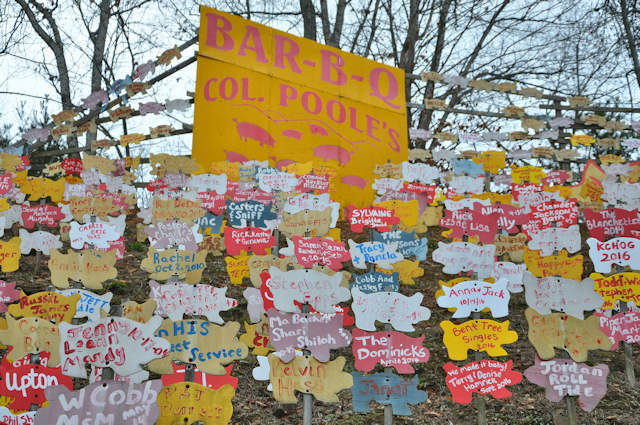 Pig cut-outs, arranged in the shape of a pig, adorn the hill behind the restaurant known as the “Pig Hill of Fame”. 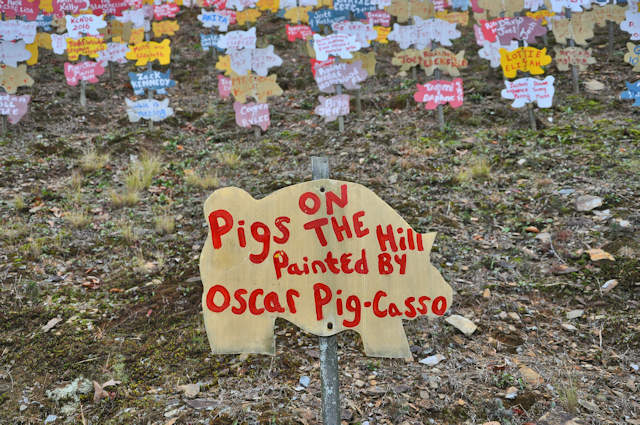 The Pig Hill of Fame started with just 300 cut-outs but now features over 3000. 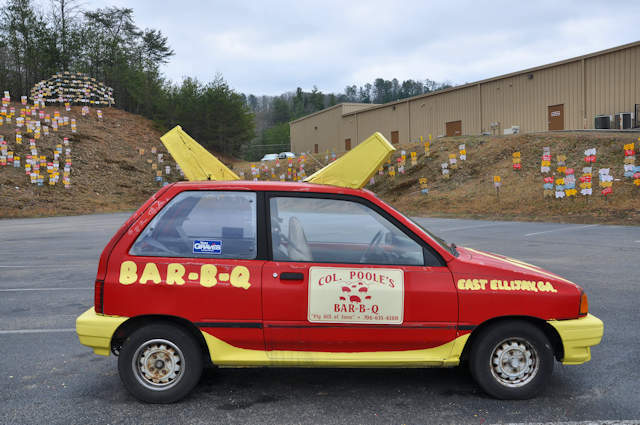 Poole’s Bar-B-Q probably doesn’t need to advertise, but these crazy cars do a good job. 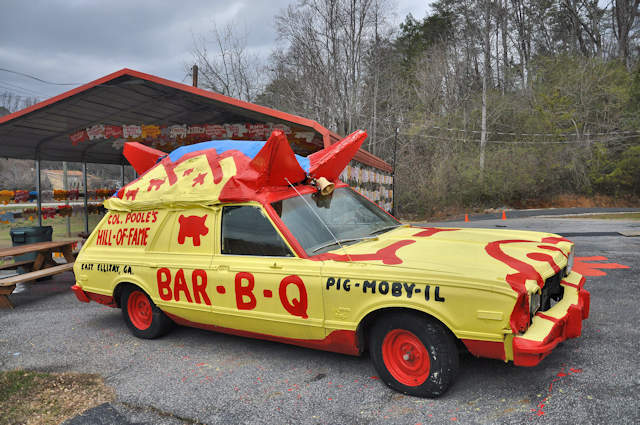 The pig kitsch is a lot of fun. 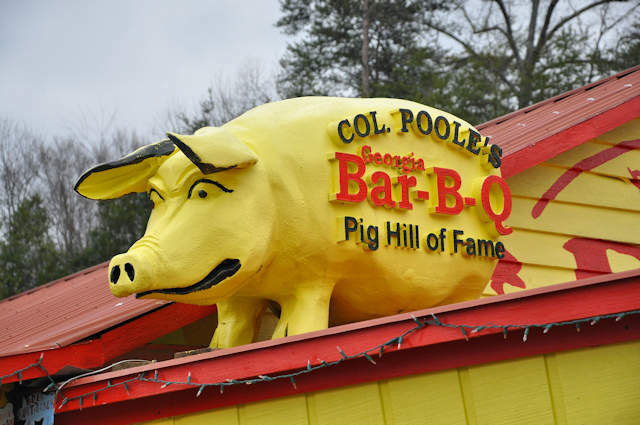 Like the old saying of eating everything but the squeal, Poole’s uses decorative pigs in every possible way. 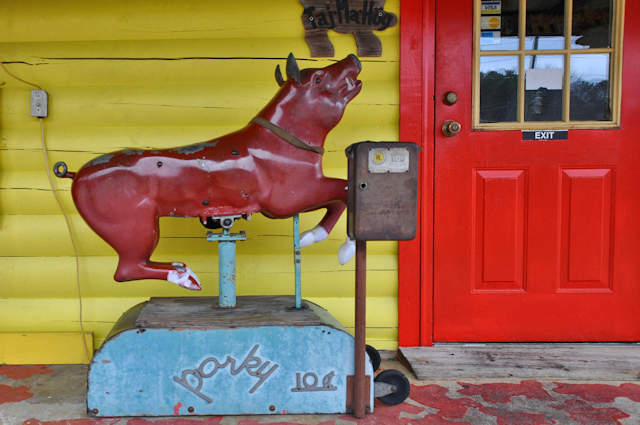 One of my favorite things, though, was Porky, a child’s ride of the kind you’d find outside dime stores a couple of generations ago.